Photos by Lisa. Text by Mike. The ride was called Sizzler. A rollercoaster with giant loops in the middle. Upside down for seven seconds at a time. Long enough to see God, his friend Jose had said at school. 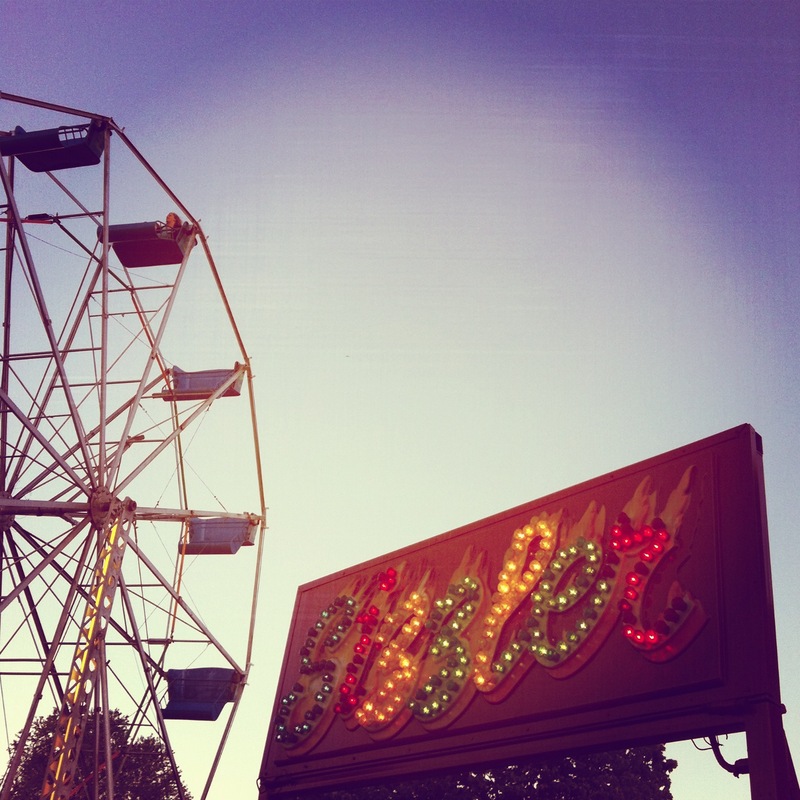 The carnies came once a year, selling bland churros and crowding animals under a circus tent. He’d been too small to ride last summer, but his father made him a promise. If you grow. Now his father was out-of-town (again). He was at the fair alone. The biggest attraction was the Ferris wheel. Girls in his class rode it together, squeezed in side-by-side. He imagined being latched in there with them. A few feet away, blocking his path to the ticket booth, stood a giant woman holding a pink parasol. Something crazy about her. 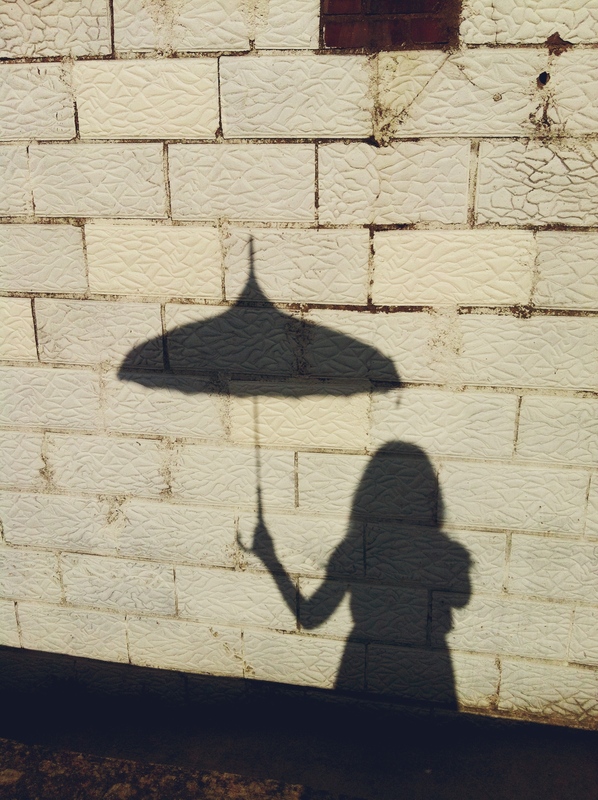 She kept the parasol perfectly perpendicular to her body. The sun cast her silhouette against the wall behind her. He watched this shadow instead of the woman. It felt safer. It was almost dusk. Mothers taking their children home. Teenagers won’t show up to ride bumper cars and drink beer for another hour. Just him and the woman remained, though he could hear sporadic screams coming from a distant ride. He took a step closer. He needed tickets to ride the Sizzler. The woman stooped down at the waist. Her nose inches from his face. The parasol remained rigid beside her. “Would you like to know when your father will leave?” she asked. “He’s gone,” the boy answered. She stood upright, momentarily blocking out the sun, and reached to a little table beside her. 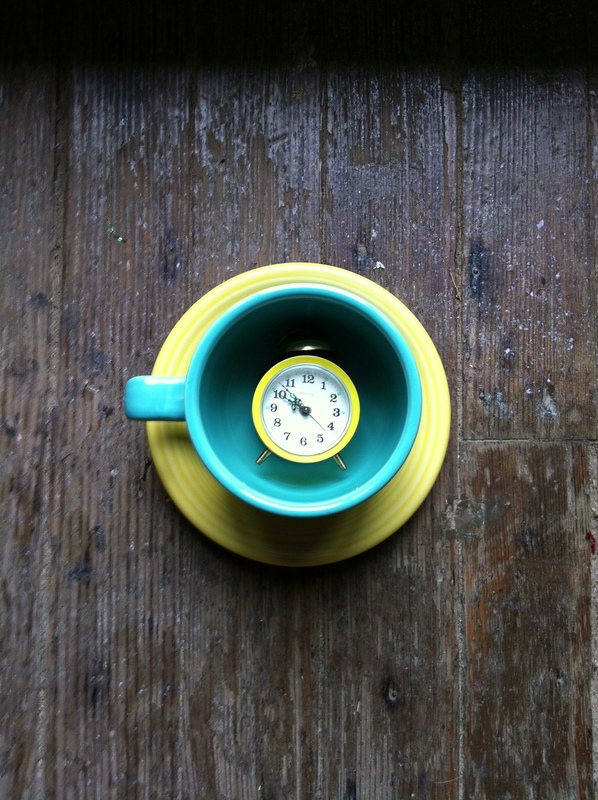 She lifted a yellow saucer and light blue mug, perched them right below the boy’s face. He expected to see hot cocoa but instead there was a clock inside. He hadn’t heard its ticking but now the sound reverberated in his head. When he looked inside the mug a second time it was empty. That night in bed he tries to imagine the cars of the Sizzler racing through the loops—to picture himself hanging on for dear life—but his head echoes with a steady tick . . .tick . . .tick . . . tick . . . and he can’t focus. His father still isn’t home, but as long as he hears that sounds he knows he eventually will be. This reminded me of the short horror stories I loved to read as a kid. “Tales for the Witching Hour” type stuff. I love it and I want more. The story makes me see these images in a different way than I first saw them. It’s kind of mysterious and awesome. Mike wasn’t as happy with how this one turned out – he said the photo choices were difficult to come up with a story (which is why I chose them!). This one is creepy and a little sinister.